Excellent performance, high transparency, good impact toughness, creep resistance, and wide injection temperature range. Process characteristics of PC: melt viscosity has little sensitivity to shear rate, but high sensitivity to temperature, no obvious melting point, high viscosity of melt, easy hydrolysis of resin at high temperature, and PC injection easy cracking. To increase the fluidity of the melt, it is not necessary to increase the injection pressure but to increase the injection temperature. Not only reasonable product design is required, but also the molding process should be properly mastered, such as increasing the mold temperature and post-processing to reduce or eliminate internal stress. The process parameters should be adjusted in time according to the different conditions of the product. PC plastics, even in the case of very low moisture, can cause hydrolysis, breakage, molecular weight reduction and strength reduction. 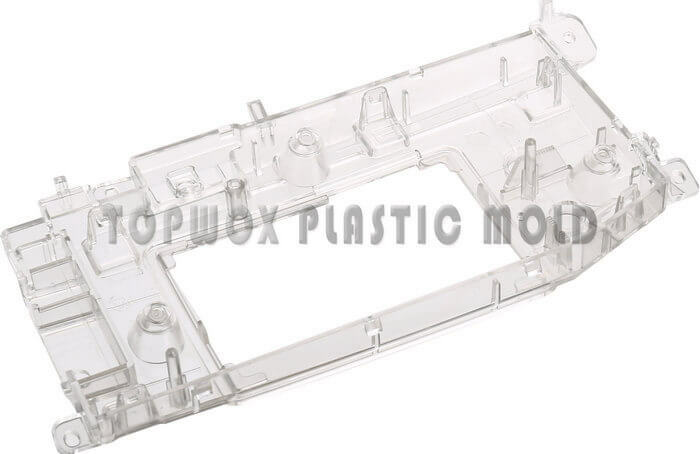 Therefore, before the molding process, the moisture content of the polycarbonate should be strictly controlled to be below 0.02% to avoid a decrease in the mechanical strength of the molded article or an abnormal appearance of bubbles and silver streaks on the surface. PC is extremely sensitive to water, so it must be fully dried before injection to reduce its water content to below 0.02%. The injection temperature must be based on the shape, size, and mold structure of the product. Generally, the temperature is between 270 and 320 °C in the molding. If the material temperature is too high, over 340 °C, the PC will decompose, the color of the product will become darker, and defects such as silver, dark stripes, black spots and bubbles will appear on the surface. At the same time, physical and mechanical properties are also dropped significantly. PC is also sensitive to temperature, melt viscosity decreases with increasing temperature, barrel temperature is 250 ~ 320 ° C. (preferably not more than 350 ° C), appropriate temperature barrel temperature is good for PC plasticization. If necessary, the internal stress is annealed. The oven temperature is 125~135°C for 2 hours and naturally cooled to normal temperature. It has a certain influence on the physical and mechanical properties, internal stress and molding shrinkage , and has a great influence on the appearance and release property of the products. Too low or too high injection pressure will cause some defects in the products. The injection pressure is controlled between 80-120 MPa. For thin-walled, long-flowing, complex-shaped products with small gates, in order to overcome the resistance of the melt flow, in order to fill the cavity in time, a higher injection pressure is selected. -145 MPa). Thereby a complete and smooth surface product is obtained. Poor fluidity, high pressure injection is required, but it is necessary to take into account the large internal stress of the rubber parts (may cause cracking). Injection speed: the wall thickness is taken at medium speed, and the wall is thin. The holding pressure and the holding time have a great influence on the internal stress of the PC product. If the holding pressure is too small, the feeding effect is small, and the vacuum bubble or the surface will be found, and if the holding pressure is too large,large internal stress is easy to be generated around the gate. In actual processing, it is often solved by high material temperature and low pressure holding method. The choice of holding time should be determined according to the thickness of the product, the size of the gate, the temperature of the mold, etc. Generally, the small and thin products do not require a long holding time. On the contrary, the thick products should have a longer holding time. The length of the holding time can be determined by the gate sealing time. There is no obvious influence on the performance of PC products. Except for thin wall, small gate, deep hole and long products, it is generally processed at medium or slow speed, preferably multi-stage injection, generally adopting slow-fast-slow Multi-stage injection method. Mold temperature control: 85~120 °C, generally controlled at 80-100 °C, for complex shapes, thinner, higher requirements, can also be increased to 100-120 ° C, but can not exceed the mold heat distortion temperature. The mold temperature is high to reduce the difference between the mold temperature and the PC material temperature, which can reduce the internal stress of the part. Due to the high viscosity of PC melt, it is beneficial to plasticize and facilitate venting. It is beneficial to the maintenance of the plastic machine and prevent the screw load from being too large. The rotation speed of the screw should not be too high. Generally, it is suitable for 30-60r/min. The back pressure control is preferably between 10-15% of the injection pressure. PC injection should strictly control the use of release agent in the injection molding process, and the use of recycled materials should not exceed three times, and the usage should be about 20%. 1) Design the runner as thick and short as possible, with less bending, using circular cross-section runners and runner grinding to reduce the flow resistance of the melt. 2) The injection gate can be any type of gate, but the inlet water channel is not less than 15mm. Machine size: The weight of the finished product is about 40 to 60% of the capacity of the injection molding machine. If the machine is expressed in polystyrene (Aussie), it needs to be reduced by more 10%. Screw: The length of the screw should be at least 15 times of diameters and the L/D is 20:1. The compression ratio is preferably from 1.5:1 to 30:1. The stop valve at the front end of the screw should adopt a sliding ring type.